PLANET in PERIL, your "one-stop shop" for the truth about our planetary crisis. : New Canadian research sheds light on how a disease deadly to certain animals, mostly in the wild, is spread. The answer seems to lie beneath their feet! New Canadian research sheds light on how a disease deadly to certain animals, mostly in the wild, is spread. The answer seems to lie beneath their feet! 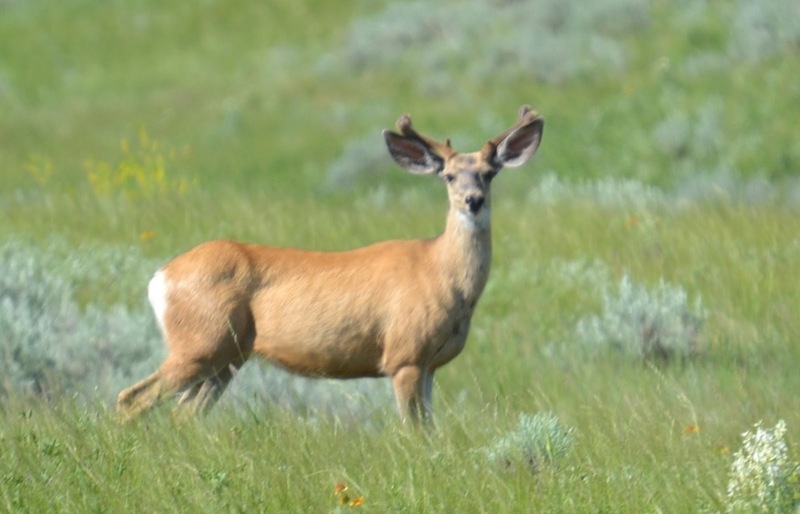 It's a terrible ailment called chronic wasting disease (CWD). A moose in Riding Mountain National Park, Canada. Canada's Food Inspection Agency describes it as "a progressive, fatal disease of the nervous system of cervids (deer, elk and moose)." It is blamed on a prion, or abnormal protein, which is also linked to mad cow disease in cattle, scrapie in sheep and CJD in humans. But CWD is the only disease in this group which spreads through the environment. It's been common in North America for years and, to a lesser degree, south Korea. 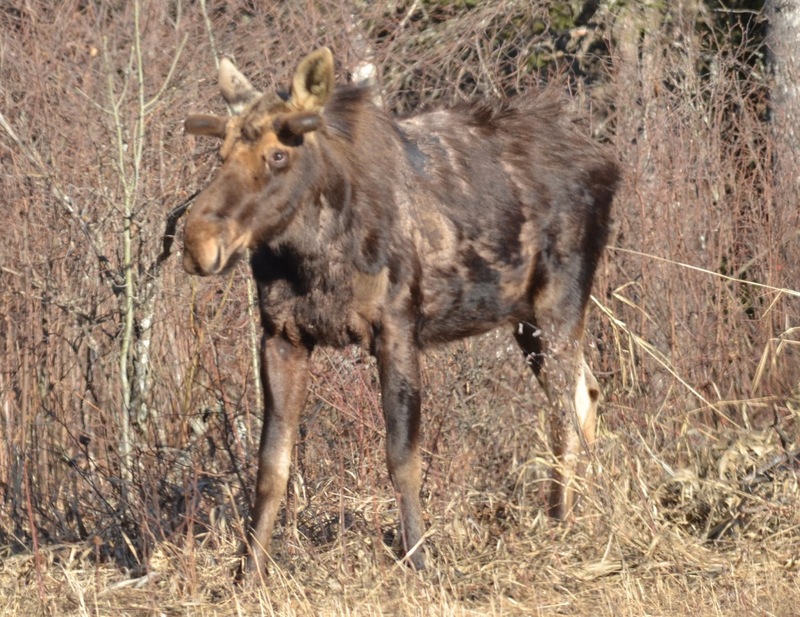 Here in Canada, it has long been ravaging free-roaming animals in Saskatchewan and Alberta. More recently, it has been detected on a farm which raises red deer in Quebec and even among domesticated reindeer in northern Europe. Up 'til now, at least, some experts have considered CWD pretty much unstoppable. But a new study by a team of four researchers at the University of Alberta may have made a breakthrough. While it's not clearly understood, soil seems to play a role in the horizontal spread of the disease. 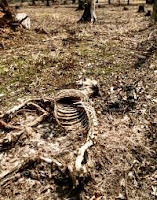 When an infected animal dies (see photo, below), its carcass sheds the harmful prion into the environment through its feces, saliva and urine. CWD is "shed" from infected deer and released from their carcasses. It can then "bind" to certain parts of the soil, and spread to healthy animals. Photo by Judd Aiken, 2018. Then, it spreads to other, healthy animals, possibly when they graze. But, just as soil contributes to the problem, so, too, may it hold the solution. The research has found that, in mice, certain components in earth's organic matter, known as humic acids, actually degrade the prion responsible and reduce its ability to spread. Near Grasslands Nat'l. Park, Saskatchewan. But a lot of work lies ahead. In an e-mail, the lead author of the study, Dr. Judd Aiken, tells Planet in Peril, finding out how they can apply this new finding in practical ways, is a goal they intend to pursue. However, "We are not at the point where we are suggesting (or advocating) the use (of the beneficial effects of humic acids) to combat the environmental reservoirs of CWD infectivity. We are currently trying to identify the components of humic acids that have this ability to degrade prions."